Bedford is our upholstered mirror program offered with a choice of two fabrics. 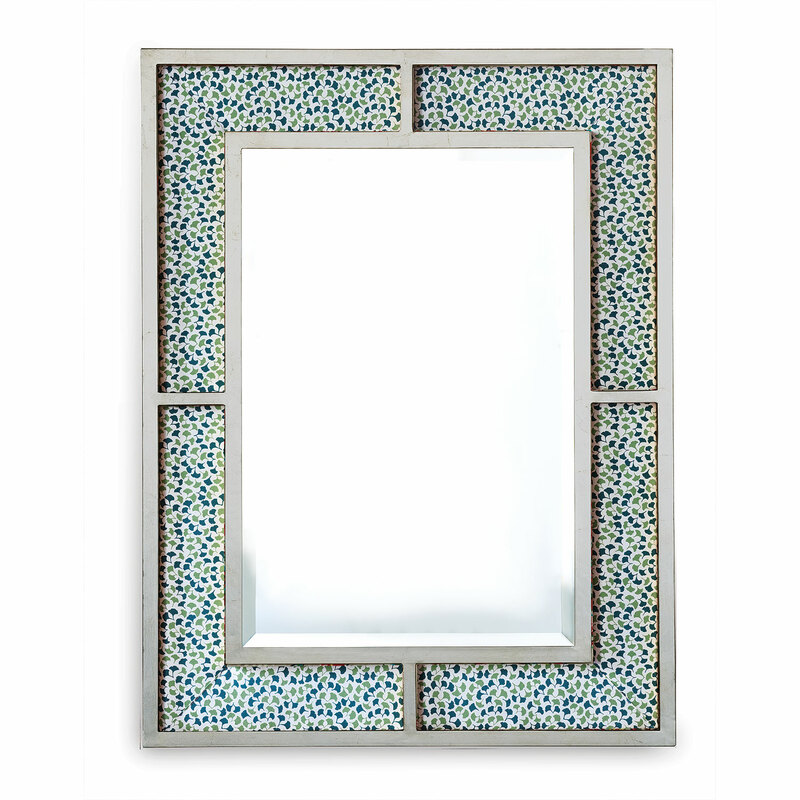 Made from silver leaf finished metal frames, the Bedford mirror as shown is upholstered in “Howards End Green” fabric. Bedford is our upholstered mirror program offered with a choice of two fabrics. Made from silver leaf finished metal frames, the Bedford mirror as shown is upholstered in “Howards End Green” fabric in our factory in Chicago. Mirror frames available in silver and gold. Overall Measurements: 42″H x 32″W x 1″H. Interior beveled mirror measurements: 20″ x 30″.